The egg is the perfect food. It is the ordinary everyday food, the eat-all-day food, the food to eat when there's nothing else, the food that makes everything special. Why is that? It is the taste of the egg. 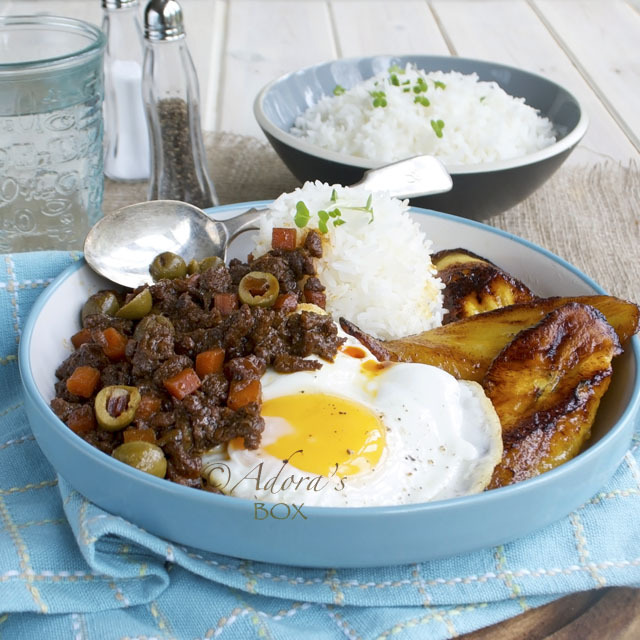 It has a rich yet simple taste that improves any food that it joins. Eggs makes everything taste and look good. The perfectly cooked egg is the holy grail of foodies. 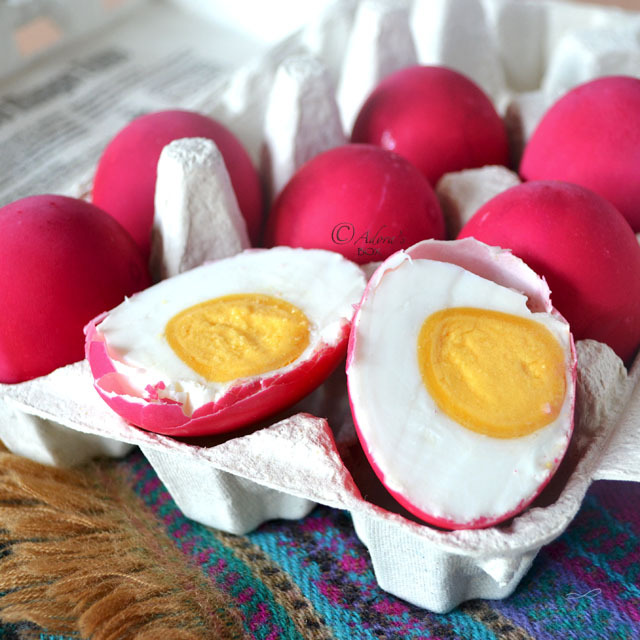 Although eggs taste good any which way they are cooked, the egg that is perfectly done to one's liking is sought after. The first mouthful always make the eyes roll back in pleasure. Poached eggs can be a hit and miss affair. Who else but the iconic Julia Child would give us the precise formula for poached eggs (see how right here). It is not rocket science but rather a more careful approach. A perfectly poached egg should have a neatly gathered soft set egg white surrounding a runny yolk. 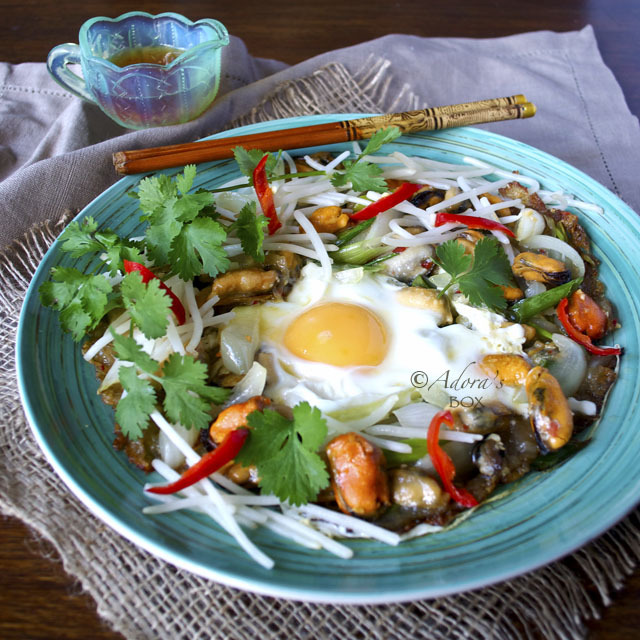 Its shining moment is the reveal of perfectly flowing yolk when the egg white is broken. 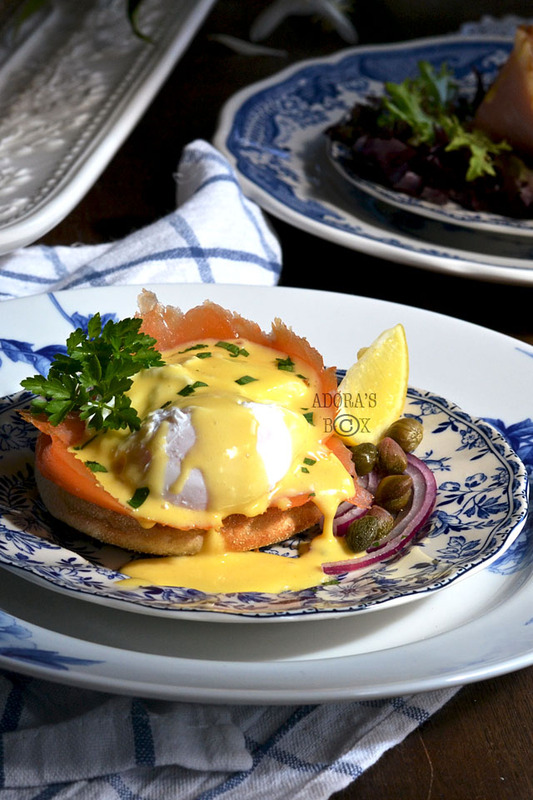 Although I usually have my eggs over easy or soft boiled, nothing will do for the classic Eggs Benedict but a perfectly poached egg. It is not as fancy schmancy as one would think. 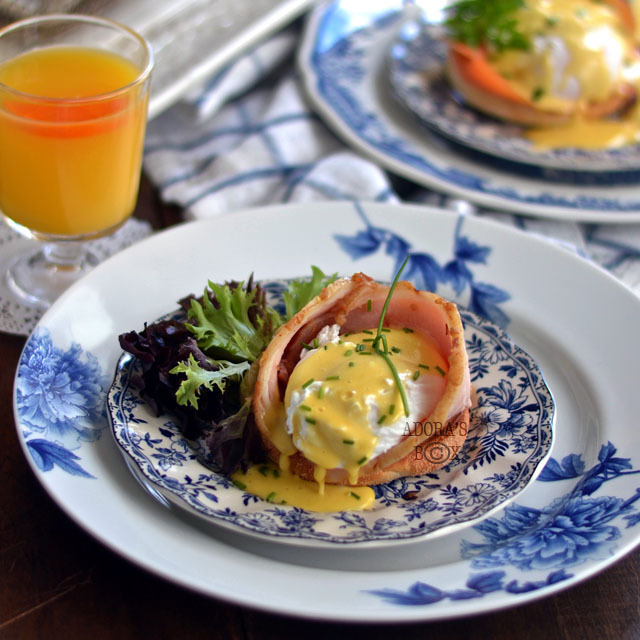 Eggs benedict is simply a ham and poached egg on half an English muffin toast, drenched with Hollandaise sauce. 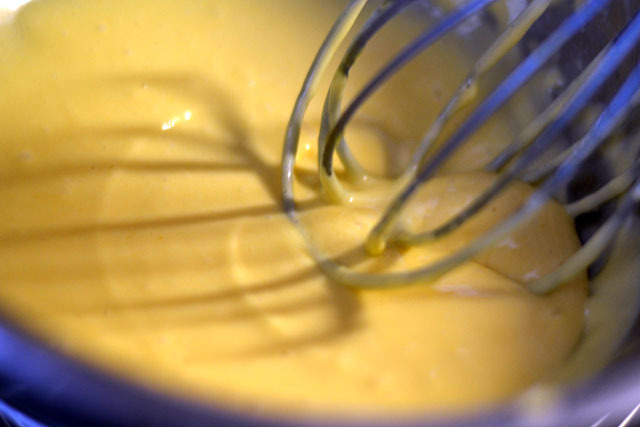 Hollandaise is just a mayo made with butter instead of oil. It is really easy to make, easier than making mayo and so delicious. Ring the changes by using different toppings. Ham, smoked salmon, bacon are tops on my list. Why stop there? Vegetarians may opt for beefsteak tomatoes, avocados, rocket leaves, grilled goat's cheese etc. The list is endless. 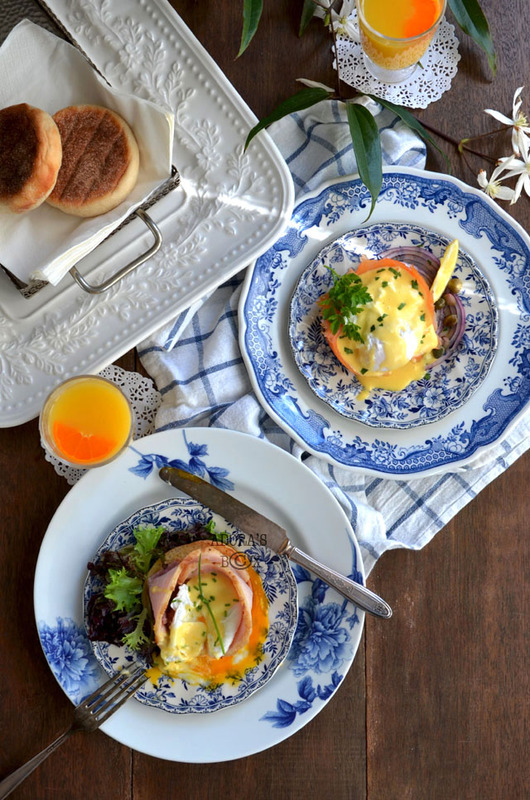 For instructions on how to make perfect poached eggs, follow this link. Simmer an inch deep of water in a double boiler or saucepan. 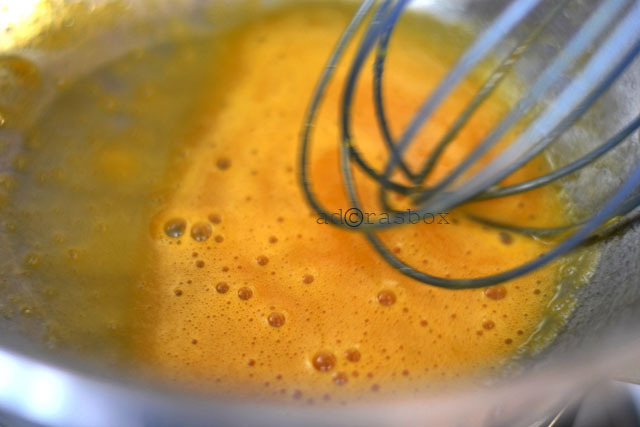 Whisk the egg yolks, lemon juice, Dijon mustard, Worcestershire sauce, hot sauce and sugar in a mixing bowl until frothy. Sit the bowl on the saucepan with barely simmering water. Keep whisking the egg yolk mixture while adding the melted butter, 1 tbsp. at a time. The mixture thickens quite fast. Add a tablespoon of water each time the mixture gets too thick to prevent the mixture from splitting. You may not need all of the water. Continue to whisk and add butter until all the butter is used up. You should end up with a thick pouring consistency. Season with salt and white pepper to taste. 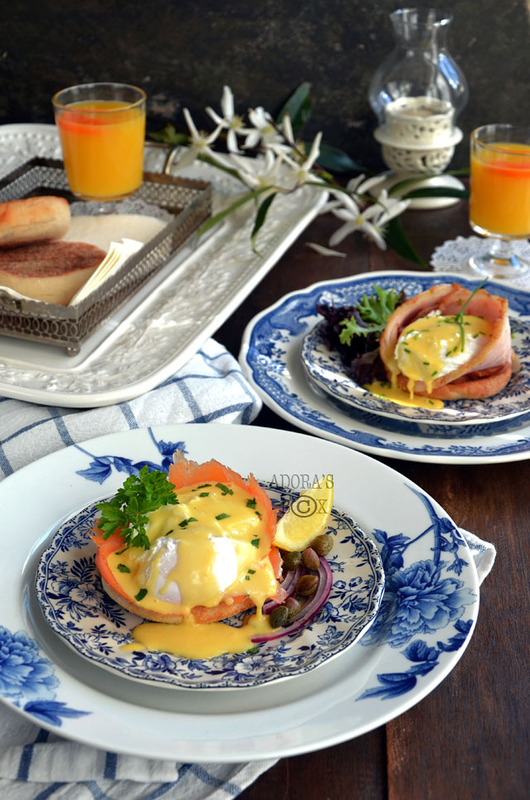 Allow 2 Eggs Benedict per person if serving on its own or 1 if serving with other courses. Set one or two toasted buttered muffin half/halves on a plate. Top with your choice of topping: ham, bacon, salmon, etc. 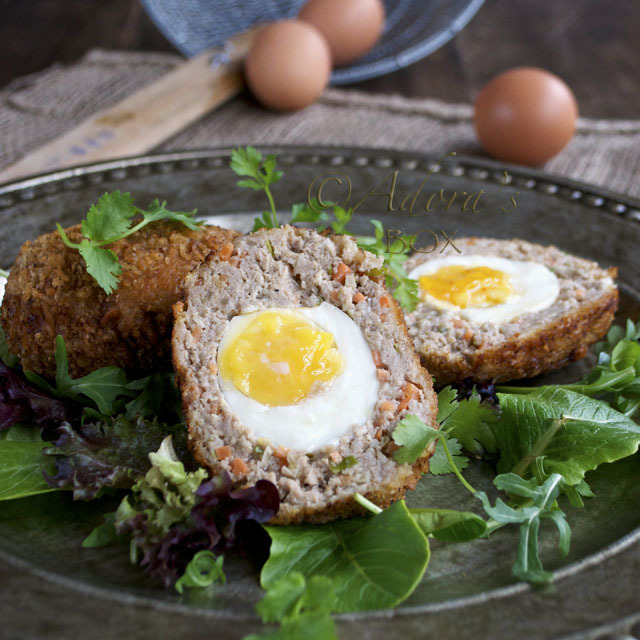 Top with a poached egg. Drizzle with the Hollandaise sauce. Sprinkle with chopped chives or parsley. 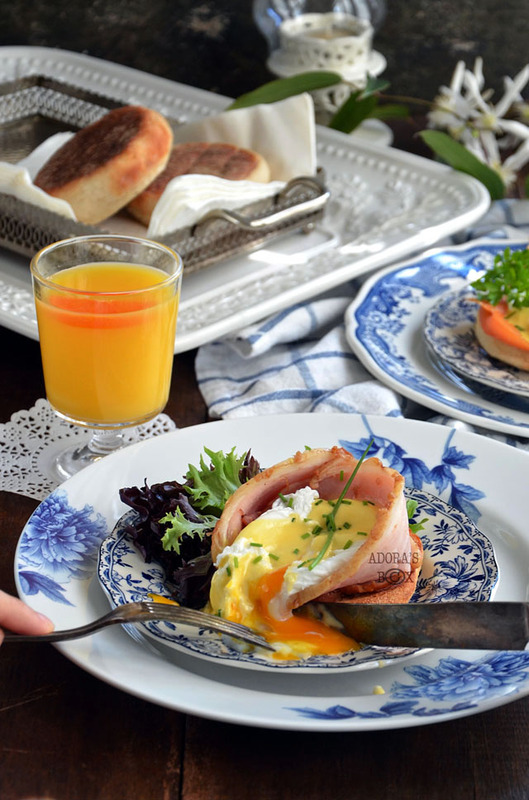 Perfect help for the morning breakfast, 'EGGS BENEDICT'isquite easy to make and looks yummy and healthy too. I will make this from now on for my kids. The great blog I see on your website and the best part is that they are all about yummy foods. One can also check the great weight loss formula of RapidTone Diet product. Get the results fast! I'm glad I'm reading your blog. The blog is really great!